The idea of public funding for the press stirs deep unease in American culture. To many it seems inconsistent with our strong commitment, embodied in the First Amendment, to having a free press capable of speaking truth to power and to all of us. This press is a kind of public trust, a fourth branch of government. Can it be trusted when the state helps pay for it? American journalism is not just the product of the free market, but of a hybrid system of private enterprise and public support. By the middle of the last century, daily newspapers were becoming natural monopolies in cities and communities across the country. Publishers and editors drew on the revenue to develop highly specialized expertise that enhanced coverage of economics, law, architecture, medicine, science and technology, foreign affairs and many other fields. Meanwhile, the broadcast news industry was deliberately designed to have private owners operating within an elaborate system of public regulation, including requirements that stations cover public issues and expand the range of voices that could be heard. The Supreme Court unanimously upheld this system in the 1969 Red Lion decision as constitutional, even though it would have been entirely possible to limit government involvement simply to auctioning off the airwaves and letting the market dictate the news. In the 1960s, our network of public broadcasting was launched with direct public grants and a mission to produce high quality journalism free of government propaganda or censorship. 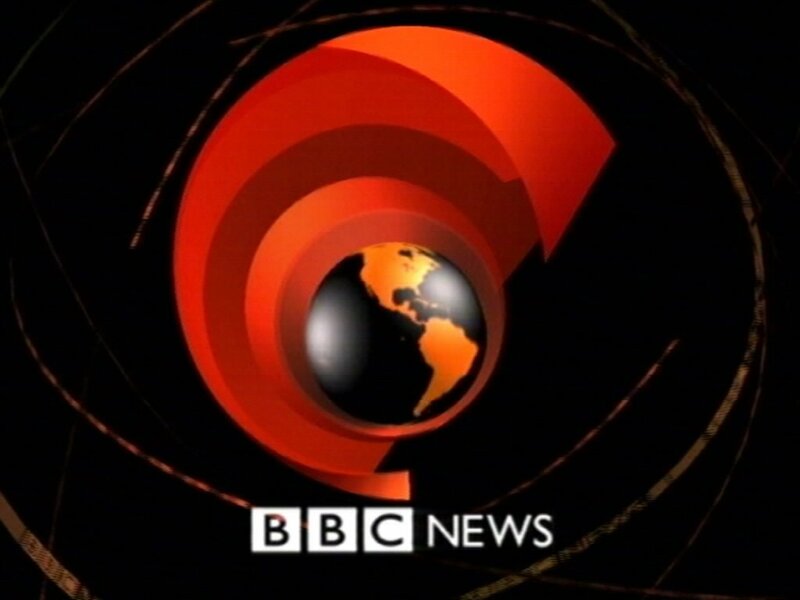 Ironically, we already depend to some extent on publicly funded foreign news media for much of our international news—especially through broadcasts of the BBC and BBC World Service on PBS and NPR. Such news comes to us courtesy of British citizens who pay a TV license fee to support the BBC and taxes to support the World Service. The reliable public funding structure, as well as a set of professional norms that protect editorial freedom, has yielded a highly respected and globally powerful journalistic institution. Yet—through a carefully designed system with peer review of grant-making, a strong culture of independence, and the protections afforded by the First Amendment—there have been strikingly few instances of government abuse. Indeed, the most problematic funding issues in academic research come from alliances with the corporate sector. This reinforces the point that all media systems, whether advertiser-based or governmental, come with potential editorial risks. To take a very current example, we trust our great newspapers to collect millions of dollars in advertising from BP while reporting without fear or favor on the company’s environmental record only because of a professional culture that insulates revenue from news judgment. First, we depend on publicly funded news, already. The BBC, PBS and NPR all receive federal funding. The artery from federal coffers isn’t always large or direct — NPR applies for competitive grants and gets about 2 percent of its funding from the federally supported organizations like the Corporation for Public Broadcasting and the National Endowment for the Arts — but it’s undeniably public funding. And yet, the BBC, PBS and NPR are consistently among the most trusted sources of news. So there are a few ways to recoup the missing subsidy. For some companies, that will mean seeking rich benefactors (obvious example: Carlos Slim). For others, it will mean relying on foundations. For others, it might mean relying — partially, even indirectly — on government-funding. All of these additional sources of income theoretically compromise news-gathering, because the news is beholden to outside sources who might themselves become newsworthy. But some combination of outside support will probably become increasingly necessary as journalism continues to undergo wrenching change and unspectacular revenue growth. It doesn’t have to be a terrifying future. In fact, we’ve been living with it for decades. Bollinger thus makes common cause with the intentionally misnamed Free Press coalition led by the neo-Marxist McChesney, an Illinois university professor of communications who, presumably with a straight face, claims “aggressive, unqualified political dissent is alive and well” in the thug state formerly known as Venezuela. Never mind that the Internet with no federal subsidies to preferred media outlets today provides more independent news gatherers and analyzers – they’re called “bloggers” – than ever worked in all the newsrooms combined in the old media’s glory days. Or that the Internet is driving news delivery technology in new directions at warp speed, thus promising more independent checks on politicians and bureaucrats than Publius could ever have dreamed. In place of this present and future reality, Bollinger wants to preserve and extend the “hybrid system of private enterprise and public support” he claims has always existed in America. So subsidized postal delivery of publications in Ben Franklin’s day is no different from federal bureaucrats collecting billions of tax dollars to hand out to favored media organizations, as advocated now by Free Press? Somehow I doubt Bollinger would understand that those of us fighting to preserve freedom of the press are anything but comforted by his example, publicly assisted schools being among the least free-thinking institutions in America, owing to their pervasive speech codes and other forms of censorship. See, for example, this New York Sun story in 2007 on how Columbia, just one week after proclaiming itself a bastion of free speech for hosting a speech by Iran’s Mahmoud Ahmadinejad, insisted on exercising pre-publication censorship reviews of documentary filming shot on its grounds. But then maybe we shouldn’t be surprised that Columbia University’s president sees no difference between a government-subsidized university system that perpetuates a suffocating academic orthodoxy and government-subsidized news media like that praised by an apologist for Hugo Chavez’s suppression of the Venezuelan media. After all, his final argument is a warning that other countries are doing it, countries like still-communist China, with its state-run Xinhua News and Central China Television. Clearly, independent journalism is doomed if it must depend for its defense upon “friends” like Bollinger. The argument, in essence, is this. The communications revolution has decimated media budgets. Indeed, “the proliferation of communications outlets has fractured the base of advertising and readers,” leading to shrunken newsrooms, especially in foreign bureaus. Thus the FCC and FTC are now studying the idea of enhanced public funding for journalism. Not to worry, Bollinger assures us, since “we already have a hybrid system of private enterprise and public support” – to wit, public regulation of the broadcast news industry and the Corporation for Public Broadcasting. And the most compelling example of state support not translating into official control, he continues, can be found in our public and private research universities, which receive billions of government dollars annually with no apparent problem. Really? Try getting your hands on some of those funds, or an appointment in one of those departments, if you have reservations about global warming. Or do we need any better example than the case of Elena Kagan, now before us. When the good dean took her principled stand against admitting military recruiters to the Harvard Law School, the larger university community reminded her of the government funds that were thus put in jeopardy, and she adjusted her position accordingly. But here comes the kicker: Like those who imagine that there’d be no art without the National Endowment for the Arts, Bollinger tells us that “trusting the market alone to provide all the news coverage we need would mean venturing into the unknown—a risky proposition with a vital public institution hanging in the balance.” Was there no news before the invention of NPR, all things considered? And back on the academic analogy, he adds, “Indeed, the most problematic funding issues in academic research come from alliances with the corporate sector. This reinforces the point that all media systems, whether advertiser-based or governmental, come with potential editorial risks.” True, but government is categorically different than private businesses, of which there is no shortage. Yet those who fail to notice that difference, or discount it, are forever drawn to government because it is, as we say, so easy to get in bed with. Bollinger anticipates that the public’s chief concern with his plan will be that a press that gets its paychecks from the government cannot effectively perform its function as democracy’s watchdog. That is not my concern. My concern is that journalists on the public payroll will become even more fervently dedicated to the idea of higher taxes and more spending. If you thought the press had a big-government bias before, wait until it is officially run by quasi-government employees. Bollinger’s example of how a government-funded enterprise can carry on without its ties to the government compromising its mission is academia. I’d say that illustrates my concern perfectly. I do not think it is any coincidence that the academy has drifted further leftward as its reliance on public funding has grown. Bollinger’s conception of “watchdog” is too narrow: I am sure the press would continue to try to expose corruption on the part of public officials, as it does now. But I am also sure that many journalists would, consciously or subconsciously, fall victim to the already common tendency to look a little more carefully for corruption on the part of those public officials who oppose missions for thegovernment that fall beyond the protection of basic liberties and the defense of the nation’s strategic interests — missions such as, say, subsidizing newspaper writers and TV reporters. What if viewers and readers, um, don’t think they need what Big Government News is serving up? And how do we know what we “need”? Ah, Bollinger and his fellow Ivy Leaguers will tell us. Such is the state of liberal thinking and the mind of an Ivy League president. Yeah, I’m thinking the same thing: people spend money to send their kids to these places?